Genero Zeefuik moved abroad in January 2015. He signed for the second half of the season for Scottish club Hearts of Midlothian on loan. Zeefuik was under contract at Groningen until June 2016. In July 2015, the club allowed him a move on a free transfer to Turkey. 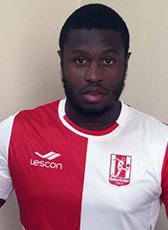 Zeefuik signed a 2-year contract at just relegated club Balikesirspor until June 2017. His contract was terminated at the end of 2016. In January 2017 he returned home signing for FC Emmen for the rest of the season. He became available on a free transfer after expiration of his contract.